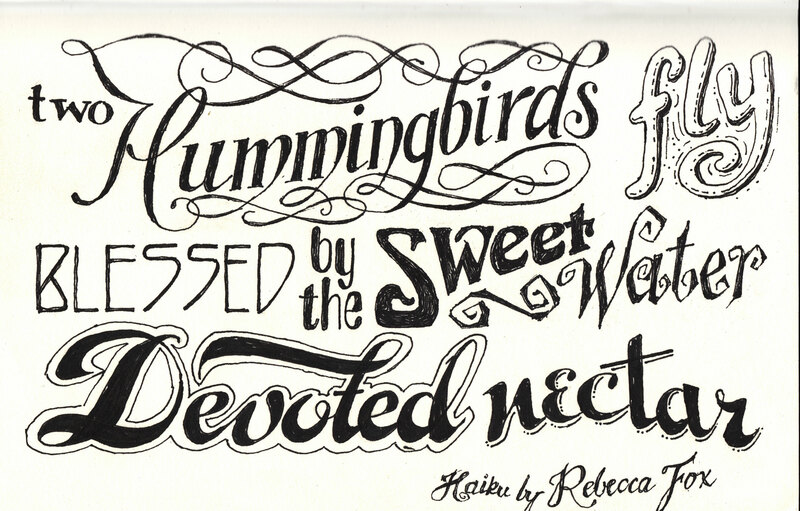 Rebecca’s Haiku, drawn by me. This entry was posted in Art, drawing, Poetry and tagged art, Drawing, ink, Poetry, postaday2011, Typograpy. Bookmark the permalink. Thanks, MM! Rebecca is a wonderful poet.